The Wilson Reading System (WRS) is a multi-sensory, research-based reading and writing program. It is a complete curriculum for teaching decoding (sounding out words) and encoding (spelling), beginning with phoneme segmentation. WRS directly teaches the structure of words in the English language so that students master the coding system for reading and spelling. Unlike other programs that overwhelm the student with rules, the language system of English is presented in a systematic and cumulative manner so that it is manageable. It provides an organized, sequential system with extensive controlled text to help teachers implement a multi-sensory structured language program. The Wilson Reading System is designed for use with individuals who have difficulty with written language in the areas of decoding (sounding out words) and spelling. The program is generally taught to students beginning with grade 3 through adult. Many students who benefit from WRS have deficiencies in phonologic awareness and/or orthographic processing, which makes it challenging to learn to read and spell without an explicit, systematic and multi-sensory approach. WRS specifically addresses the learning style of students with a language-based learning disability; however, it is beneficial to any student lacking basic reading and spelling skills. 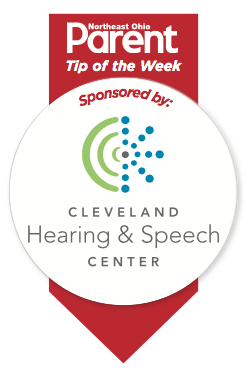 Cleveland Hearing & Speech Center (CHSC) currently employs speech-language pathologists who are certified Wilson Dyslexia Practitioners. This means that the SLPs have completed a nearly yearlong training experience using the WRS, under the supervision of an experienced Wilson trainer. They have attended workshops and meetings to discuss appropriate use of the program.